An FXS adapter is used to connect your analog phone or fax machine to your VoIP phone system. Equipped with dual FXS ports, these dual FXS ATAs allow you to connect your adapter to two instruments or one instrument and a fax machine at the same time! 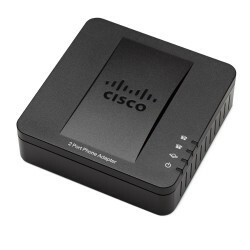 VoIP Supply carries a wide variety of dual FXS VoIP adapters. Grandstream HT802, Obihai OBi202 and Cisco SPA122 are just some of the popular ATAs in our catalog. 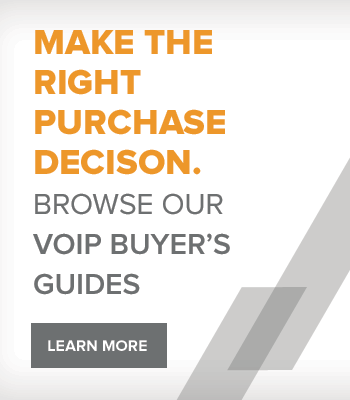 Need help to find the right VoIP adapter? 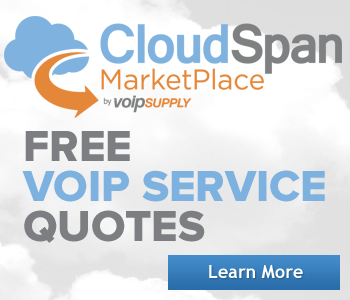 Check out our free VoIP Adapter guide here. 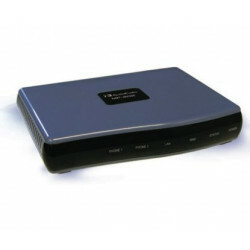 The Audiocodes MediaPack 112 Analog VoIP Gateway with 2 FXS ports allows up to 2 analog devices to connect to the IP Network. 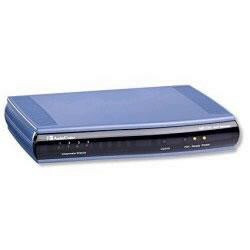 This product includes 2 FXS analog lines, single 10/100 BaseT, and an AC power supply. 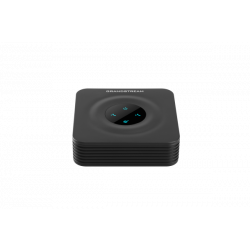 Grandstream's HT802 is a Dual FXS Analog Telephone Adapter (ATA) with a sleek, modern design that is suitable for any residential or business setting that wants to turn their analog phone into a VoIP system. The Obihai OBi202 is a 2 port Analog Telephone Adapter (ATA) which allows you to use your existing analog phones or fax machines to make calls using the internet. 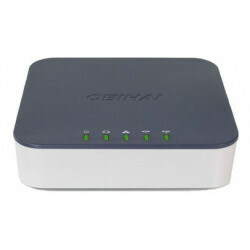 It includes an integrated 2 port router with QoS and has the ability to work wirelessly using OBiWiFi. 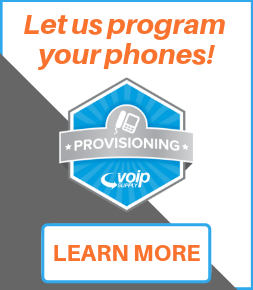 The OBi202 will work with most SIP-based Internet Service Providers (ISP) or with Google Voice as your VoIP Service. 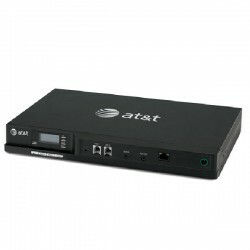 The Audiocodes MP204 is a 4 FXS VoIP ATA with 4 FXS, a WAN port, and a LAN port. The Mediatrix 4102S SIP and DGW 2.0 gateway is a high-quality and cost efficient VoIP gateway and analog telephone adapter (ATA) which connects homes, larger branch offices or multi-tenant buildings to an IP network, while preserving investment in analog telephones and faxes. 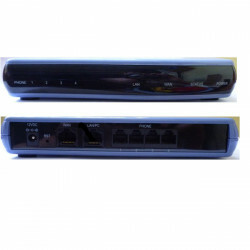 It features 2 FXS ports for analog devices such as phones, modems, or fax machines, and a WAN and LAN RJ45 connection. 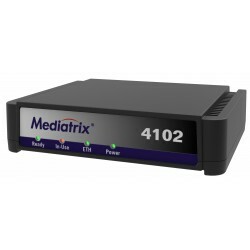 The Mediatrix 4102-MGCP VoIP Access Device allows 2 analog devices to access a broadband modem or LAN. The Audiocodes MP202B-2FXS series of Telephone Adapters are cost-effective, advanced products, which allow the connection of ordinary analog telephones or fax machines to a Voice over Broadband (VoBB) service. As a member of the MediaPack series of gateways, the MP-20x series of Telephone Adapters are well-suited for commercial VoIP deployments. Field-proven voice and fax technology and a feature rich design make these Telephone Adapters an excellent choice for Voice over Broadband (VoBB) service providers and operators.